As a person reading this website on some sort of technological device, you’ve probably heard that phone screens are really, really nasty. But that stat doesn’t even begin to compare with the average steering wheel, which is apparently far nastier than the average elevator button, toilet seat or smartphone. We don’t often do math over here at blog central, but, according to our rigorous calculations, the average steering wheel is approximately nasty as hell, to the fourth power. Put that on your diagrams, once you’ve washed your hands. On Friday, the San Francisco Chronicle cited a study from CarRentals.com, which is owned by Expedia, that looked at just how gross the inside of a vehicle can get. Why a company that rents cars to people would publicly call attention to how gross cars are, the world may never know. 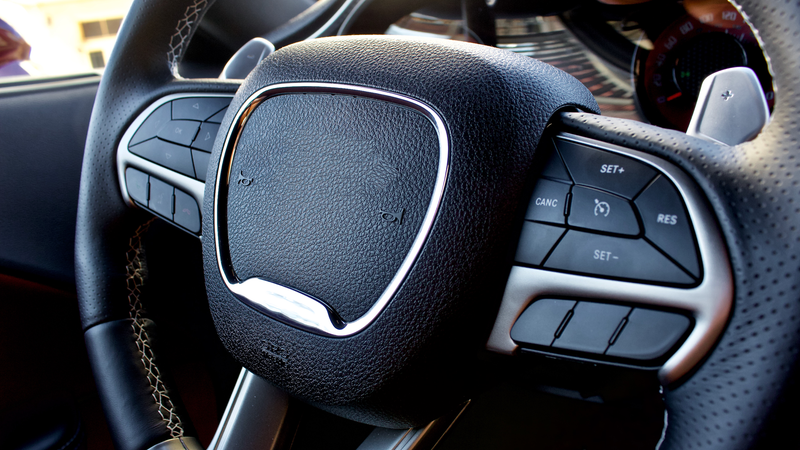 Regardless, the study found that there are about 700 strains of bacteria in the average vehicle, and the steering wheel is the nastiest part of the whole thing. Eating in your car is the way to get the bacteria machine rolling even faster than it already does, the study said, and, apparently, eating in a car is more likely to make you sick than eating off of a toilet seat. Gas pumps, though, are where things get really bad. CarRentals.com studied the germs in colony-forming units, or CFU, per square centimeter, and found that the average steering wheel has 629 CFU, elevators to have 313 CFU, public toilet seats to have 172 CFU, and phone screens to have 100 CFU. On gas pumps, the CFU numbers are apparently in the millions—2.6 million on the buttons and 2 million on the handle, to be exact. If you’re really wanting to down your exposure to germs, though, go with premium fuel: The study found the premium button to have 2 million CFU compared to regular’s 3.2 million. On top of all of that, the CarRentals.com study surveyed 1,000 people on their car-cleaning habits and found that 32 percent of drivers only clean their vehicle once a year, and 12 percent said they never did. We as a human population are gross specimens, our nastiness trailing behind us every second, as if our superpower was to spread germs and rarely clean them up. Once again breaking from the norm to do math over here at blog central, our calculations find that you should keep your grubby hands to yourself.